True pride in ownership is shown in this beautifully updated home in the highly sought after community of Crown Pointe! 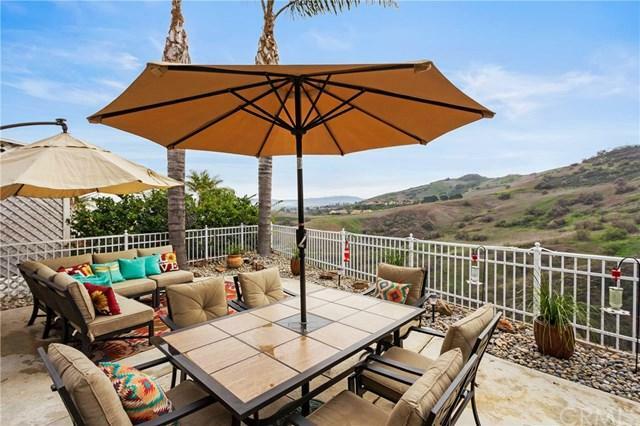 Perched atop the hills of Anaheim, this gated community provides tranqulity and privacy with the serene, rolling foothills and citylights view. This home features 3 bedrooms plus a den/office/guest room, dramatic high ceilings, elegant crown molding, wood flooring, modern fixtures, dual pane windows, plantation shutters, and recessed lighting throughout! 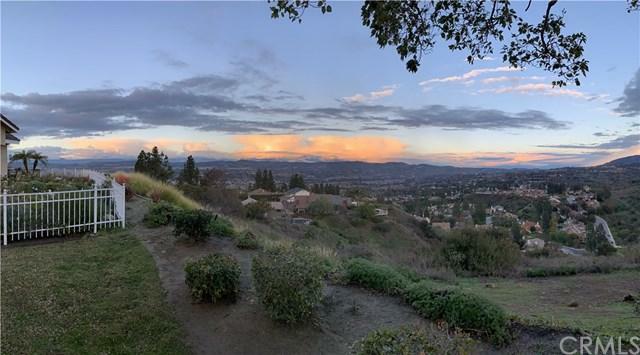 Take in that view while relaxing True pride in ownership is shown in this beautifully updated home in the highly sought after community of Crown Pointe! 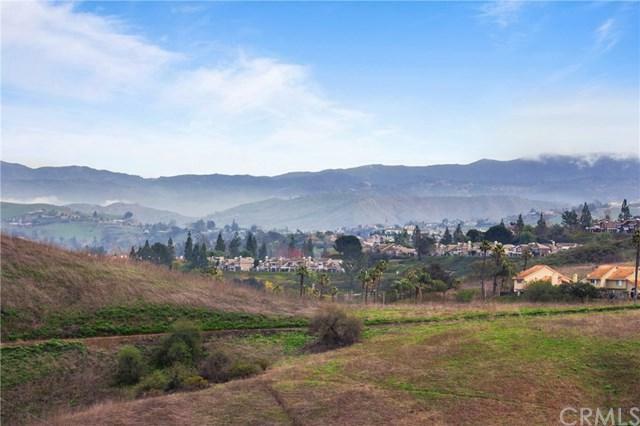 Perched atop the hills of Anaheim, this gated community provides tranqulity and privacy with the serene, rolling foothills and citylights view. This home features 3 bedrooms plus a den/office/guest room, dramatic high ceilings, elegant crown molding, wood flooring, modern fixtures, dual pane windows, plantation shutters, and recessed lighting throughout! 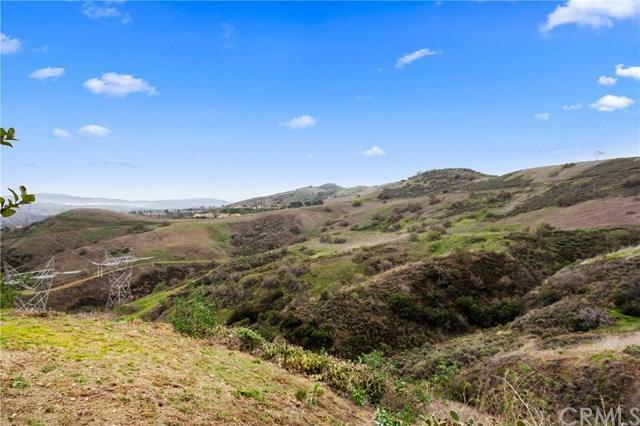 Take in that view while relaxing in the living room or playing in the backyard! The kitchen has sleek white cabinetry with custom window panels, stainless steel appliances, and granite countertops with matching backsplash, plus a charming beadboard ceiling! The kitchen overlooks the dining room with a fireplace and access to the private backyard with unobstructed 360-degree view of the surrounding foothills perfect for entertaining! . Enjoy the spectacuar view from your master bedroom appointed with a custom coffered ceiling, a cozy fireplace and a large en-suite with an updated dual sink vanity, and a separate bath and shower. The secondary bedrooms are opposite down the hall and share the full hall bath. There's a convenient laundry room with gas or electric dryer hookup and storage. The garage is accessed directly through the laundry room. Keep cool all summer splashing in the community pool. Highly regarded schools and a truly move in ready home! All we need is YOU! SELLERS ARE MOTIVATED! Welcome home!